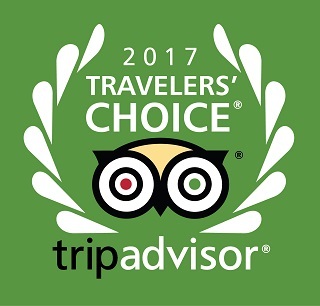 Comments Off on TripAdvisor 2017 Traveler’s Choice Award #20 Best B&B in the U.S.
TripAdvisor 2017 Traveler’s Choice Award #20 Best B&B in the U.S.
We are honored to announce that we are recipients of this award! 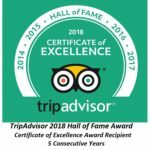 We would like to thank our guests for their continued support and loyalty by return visits and multiple night stays. Call and reserve your favorite suite today and see why it’s a place you’ll want to come back to again and again.